As chief research officer, Vittorio Gallo, Ph.D., will be instrumental in developing and realizing Children’s Research Institute’s long-term strategic vision. Children’s National Health System has appointed the longtime director of its Center for Neuroscience Research, Vittorio Gallo, Ph.D., as Chief Research Officer. Gallo’s appointment comes at a pivotal time for the institution’s research strategic plan, as significant growth and expansion will occur in the next few years. Gallo is a neuroscientist who studies white matter disorders, with particular focus on white matter growth and repair. He is also the Wolf-Pack Chair in Neuroscience at Children’s Research Institute, the academic arm of Children’s National. As Chief Research Officer, Gallo will be instrumental in developing and realizing Children’s Research Institute’s long-term strategic vision, which includes building out the nearly 12-acre property once occupied by Walter Reed National Military Medical Center to serve as a regional innovation hub and to support Children’s scientists conducting world-class pediatric research in neuroscience, genetics, clinical and translational science, cancer and immunology. 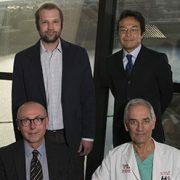 He succeeds Mendel Tuchman, M.D., who has had a long and distinguished career as Children’s Chief Research Officer for the past 12 years and who will remain for one year in an emeritus role, continuing federally funded research projects and mentoring junior researchers. “I am tremendously pleased that Vittorio has agreed to become Chief Research Officer as of July 1, 2017, at such a pivotal time in Children’s history,” says Mark L. Batshaw, M.D., Physician-in-Chief and Chief Academic Officer at Children’s National. “Since Mendel announced plans to retire last summer, I spent a great deal of time talking to Children’s Research Institute investigators and leaders and also asking colleagues around the nation about the type of person and unique skill sets needed to serve as Mendel’s successor. With each conversation, it became increasingly clear that the most outstanding candidate for the Chief Research Officer position already works within Children’s walls,” Dr. Batshaw adds. Gallo’s research focus has been on white matter development and injury, myelin and glial cells – which are involved in the brain’s response to injury. His past and current focus is also on neural stem cells. 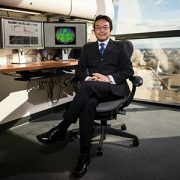 His work in developmental neuroscience has been seminal in deepening understanding of cerebral palsy and multiple sclerosis. He came to Children’s National from the Eunice Kennedy Shriver National Institute of Child Health and Human Development (NICHD) intramural program. 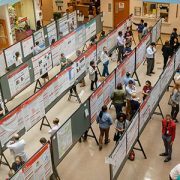 His intimate knowledge of the workings of the National Institutes of Health (NIH) has helped him to establish meaningful collaborations between both institutions. 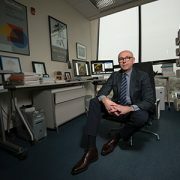 During his tenure, he has transformed the Center for Neuroscience Research into one of the nation’s premier programs. 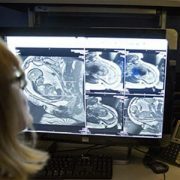 The Center is home to the prestigious NIH/NICHD-funded District of Columbia Intellectual and Developmental Disabilities Research Center, which Gallo directs. 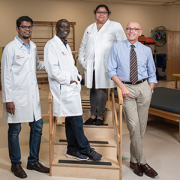 Children’s research scientists working under the auspices of Children’s Research Institute conduct and promote highly collaborative and multidisciplinary research within the hospital that aims to better understand, treat and, ultimately, prevent pediatric disease. As Chief Research Officer, Gallo will continue to establish and enhance collaborations between research and clinical programs. Such cross-cutting projects will be essential in defining new mechanisms that underlie pediatric disease. “We know, for instance, that various mechanisms contribute to many genetic and neurological pediatric diseases, and that co-morbidities add another layer of complexity. 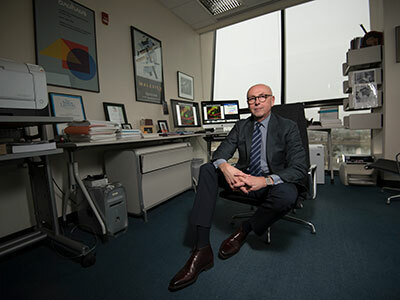 Tapping expertise across disciplines has the potential to unravel current mysteries, as well as to better characterize unknown and rare diseases,” he says. Gallo says the opportunity for Children’s research to expand beyond the existing buildings and the concurrent expansion into new areas of research will trigger more hiring. “We plan to grow our research enterprise through strategic hires and by attracting even more visiting investigators from around the world. By expanding our community of investigators, we aim to strengthen our status as one of the nation’s leading pediatric hospitals,” he says.